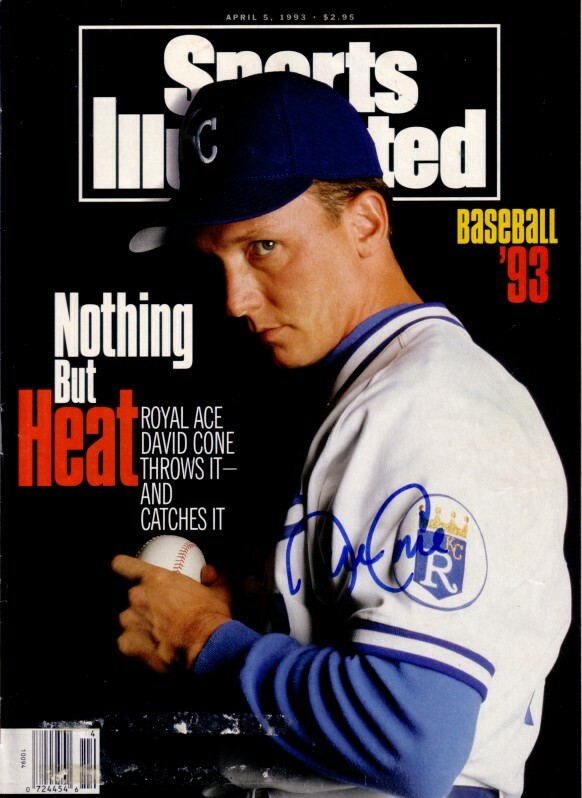 Complete 1993 Sports Illustrated autographed in blue marker by former Kansas City Royals ace pitcher David Cone, who won the AL Cy Young with the Royals in 1994. Has minor surface tears from label removal. With certificate of authenticity from AutographsForSale.com. ONLY ONE AVAILABLE FOR SALE.